Home › FAQ › What is a Safety School When Applying to College? Most school counselors will recommend that you send admissions applications to both the schools that you want to attend and a safety school when applying to college. While the school of your dreams tops your list, there are no guarantees when it coming to acceptance. You can spend your entire high school career earning good grades, taking high-level courses, serving as student council and playing sports in your free time and it is still possible to receive an letter of apologies rather than congratulations. This is why the steps that you take as you apply to school are so important. Read on, and find out how many schools to apply to and how to decide where to apply. Applying to college can be a draining and overwhelming process. Not only do you have to worry about how you stack up against the competition, you also have to worry about selecting a school that you will be happy with and that will be happy with you. There is not a specific magic number of schools that you should apply to, but most experts recommend submitting anywhere between 5 and 8 applications to secure your seat in the classroom, according to the College Board. While your chances are better as the number of applications that you submit gets higher, there are no guarantees when you select a list full of schools with extremely hard admissions criteria and tough competition. This is why it is crucial to create a college list before you start filling out any applications. With a well thought out college list, you chances of getting accepted to a suitable institution that you will be proud to attend will be much higher. You can start to create a list of all of the intriguing colleges locally and nationwide that you list, and then focus on narrowing this down number by number until you reach yoru junior year. As you begin to create your list, you will jot down three different categories: Reach schools, probable schools and safety schools. The reach schools are your top choices that you know are not likely to accept you based on your qualifications, the number of spaces available, and the competition. The probable schools on your list will be the schools that have a great atmosphere and that you would be happy to attend. These are the schools that you hope to attend because they have outlets for you that you will use. Safety colleges are schools that have more lenient requirements and is more affordable financially. If you are not accepted to a probable or reach school, you have a backup plan and should be comfortable in knowing you will be accepted to the safety school. Most students will only apply to one or two safety schools so that they have a protective barrier that ensures they will attend school the following semester. 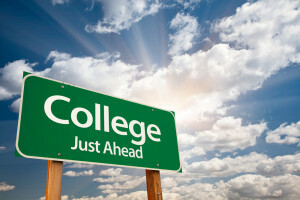 Consider the application fees and the essay requirements when you are applying to college. If you find that applying to a dozen colleges will break the bank, you should narrow your list. Include one or two reach schools, three or four probable schools, and then a safety school when applying to college the smart way.